This past weekend was the kick off to the first bachelorette flower party in sunny Palm Springs, CA. We are so excited to start doing more floral workshops with your groups in Palm Springs. 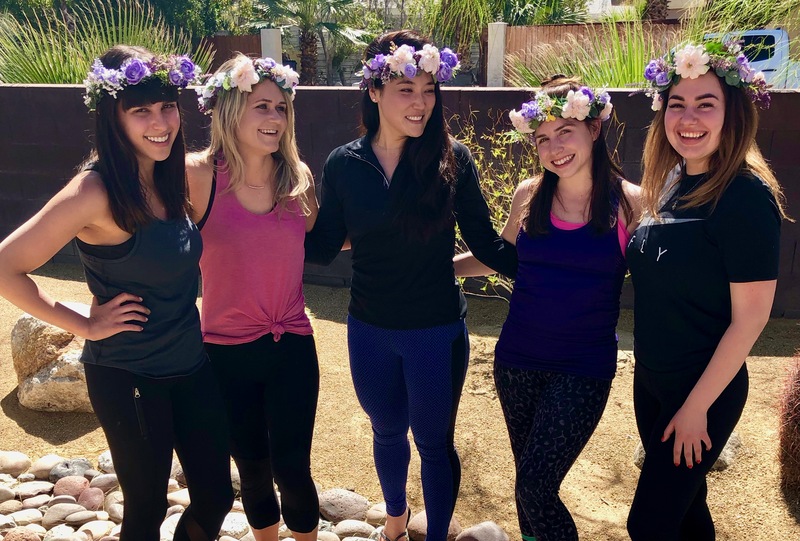 Palm Springs is the perfect PLACE for bachelorette parties because it includes all of our favorite things to make for a girly, fun-filled weekend with friends. We are finally live and in action in Palm Springs, ladies! We can't wait to help you have the best weekend ever in Palm Springs with our flower crown workshops. But, before we get to that let's talk a bit about this bachelorette party theme of having a bachelorette party in Palm Springs. We love all things Palm Springs in general for a girls weekend, a ladies weekend trip and not to forget our favorites- a Palm Springs bachelorette party. You should check out our favorite hotels to stay at in Palm Springs for a girls weekend or a bachelorette party here. We constantly update links to blog posts about all things Palm Springs bachelorette party on the guide there. Check out the Palm Springs bachelorette party guide here. 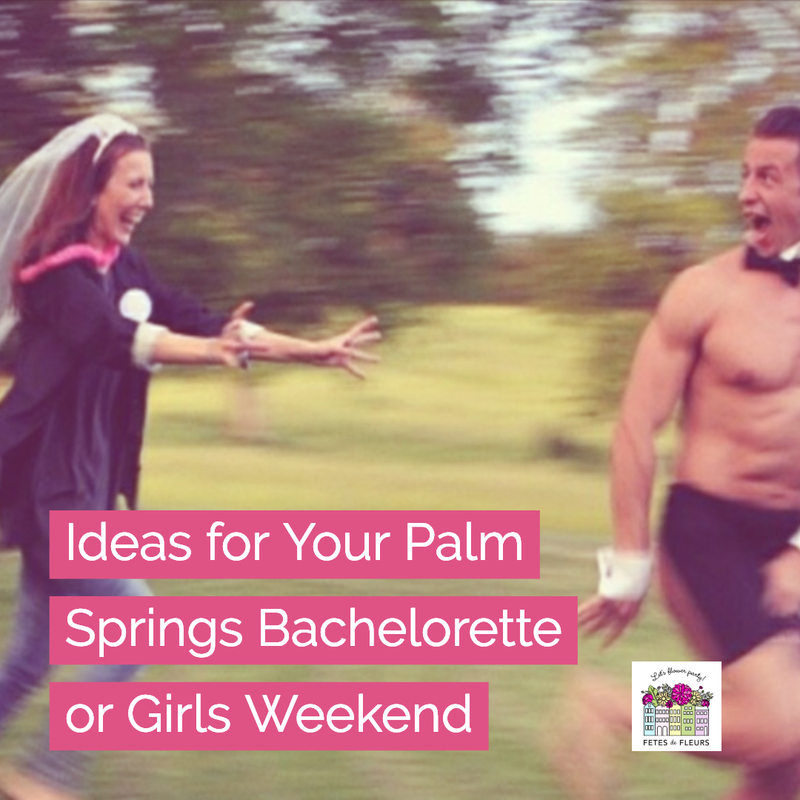 First things first, ladies, you are going to need to come up with the bachelorette party hashtags that you want to use for your weekend in Palm Springs. The hashtag for your bachelorette party weekend can be used on the bachelorette decorations, the bachelorette t-shirts, and of course your instagram hashtags! We had looked all over the internet (Pinterest, blogs, and instagram) for all the best Palm Springs bachelorette party hashtags and we hope that you will check these out as options for your bachelorette weekend in Palm Springs. Those are my favorites for putting the bachelorette hashtags on banners for decorations, t-shirts for your bachelorette tribe, balloons, goodie bags for bachelorette favors and gifts, etc. 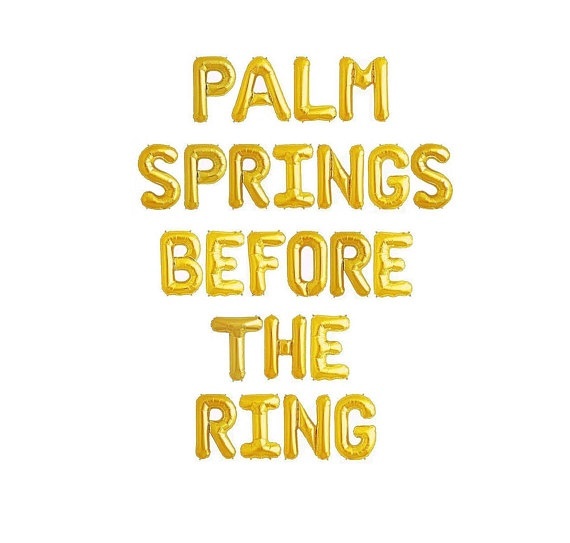 If you are traveling to Palm Springs for your bachelorette party we definitely think you should come up with a fun hashtag to document your moments on INSTA. Which one do you love the most? I think I am partial to Palm Springs Before the Rings. Just rings out fun and sounds great! OMG. You have decided to go to Palm Springs for your bachelorette party! YES, QUEEN. You are about to live it up and have the best freaking weekend of your lives. Palm Springs is a dream place for any kind of trip but Palm Springs SCREAMS girls weekend, ladies weekend or a bachelorette party. We can't wait to help you plan your dream Palm Springs bachelorette party, ladies. One of the first things to think about when planning a Palm Springs bachelorette party is where the heck you are going to stay. So let's get to it. Palm Springs is a dream place. It is a dream place to host your bachelorette party weekend too. We recently launched another Fetes location in Palm Springs so we are pumped to be able to help bride tribes traveling to the Palm Springs area for their Palm Springs bachelorette parties. We are so pumped to finally be able to say that we are launched in Palm Springs. 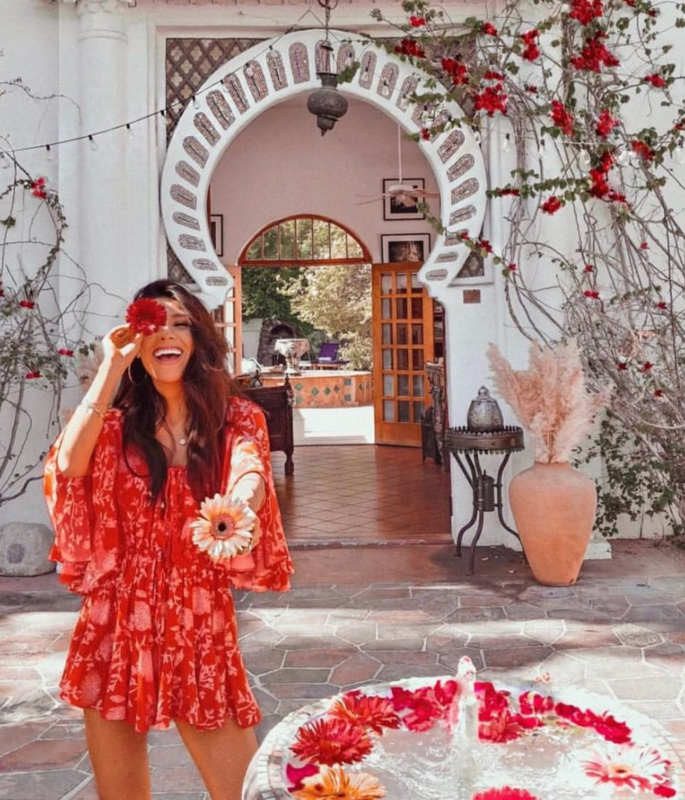 It makes me so happy to be able to have a flower party host (they are actually a couple - married couple) in such a perfect location as Palm Springs for bachelorette parties, girls weekends, ladies weekends, whatever type of celebration it might be. Palm Springs is perfect for flower parties so we can't wait to start having them! Palm Springs. We are PUMPED to join you. It is officially, OFFICIAL! 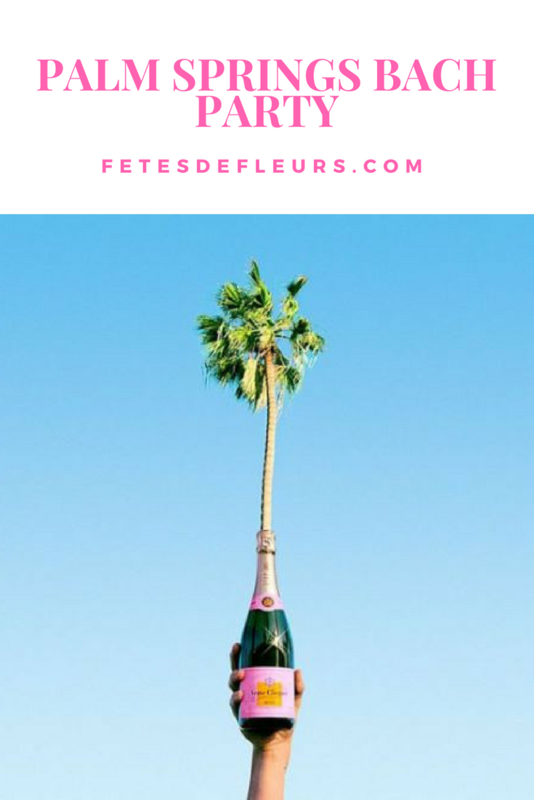 We now have Palm Springs as our newest location for our Fetes de Fleurs Flower Party Hosts locations. What a lovely place to host a bachelorette party!! Palm Springs has all the right things to make for the best bachelorette party destination. 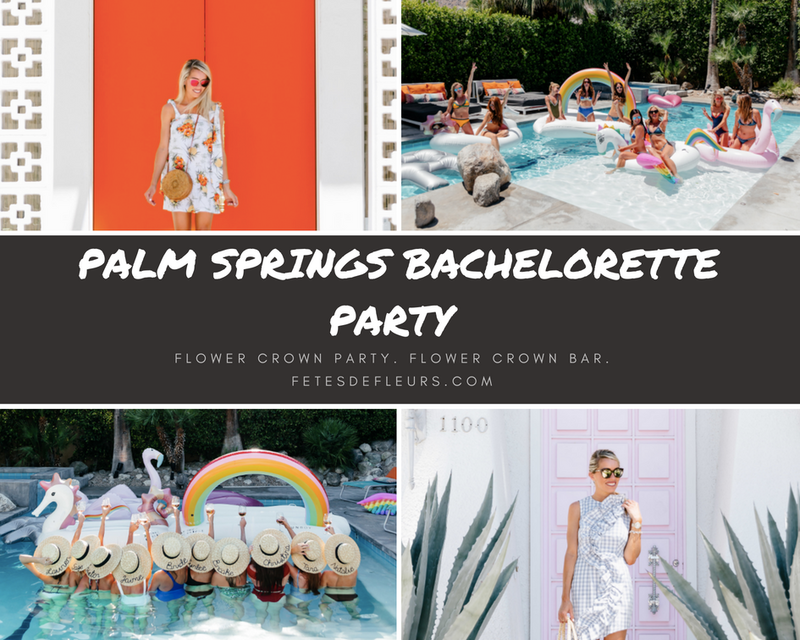 We couldn't be more excited to officially launch our newest flower party host location: PALM SPRINGS Bachelorette party!